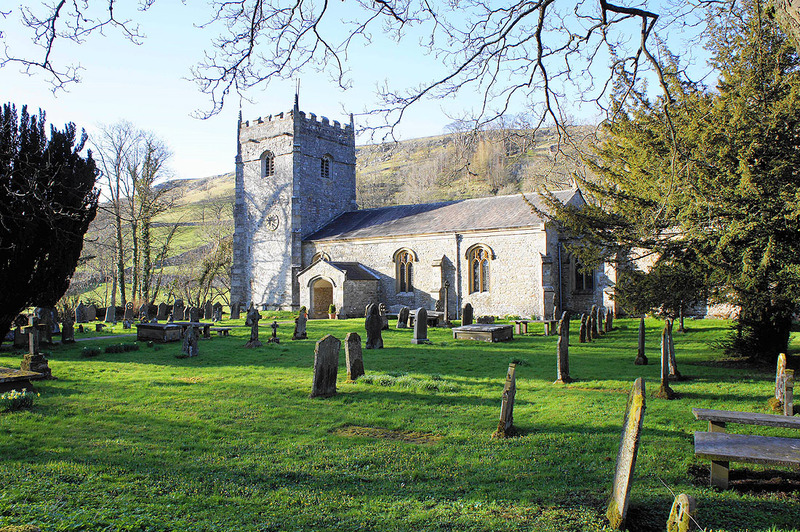 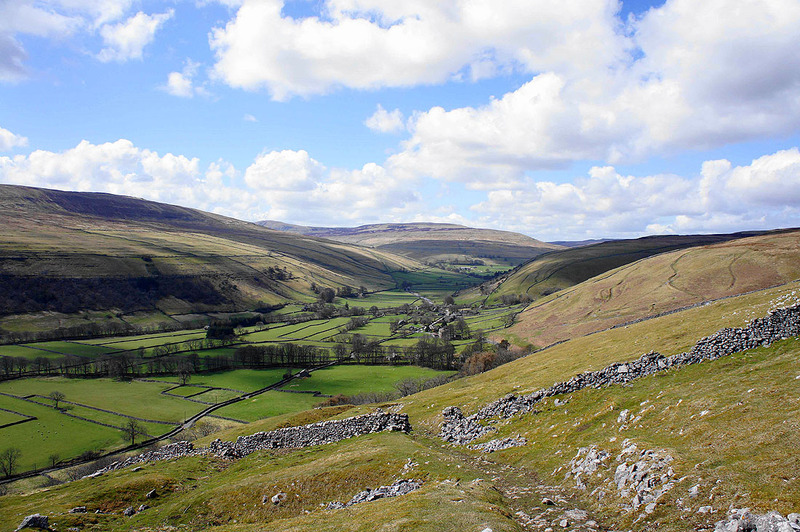 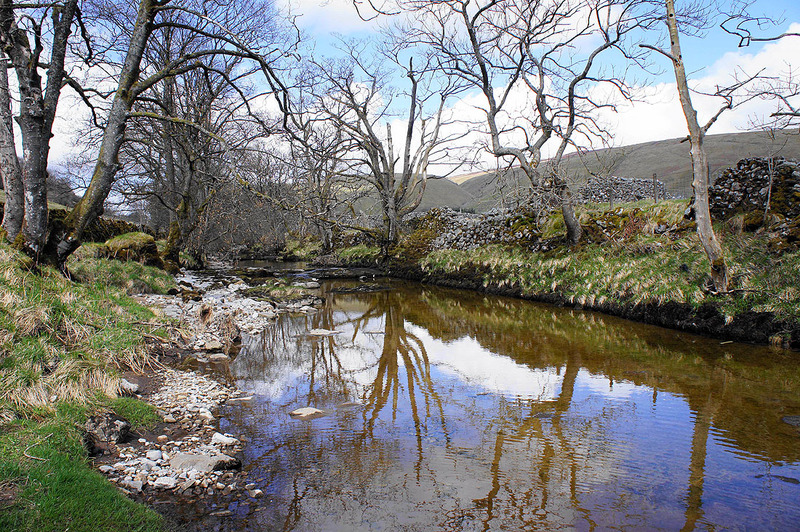 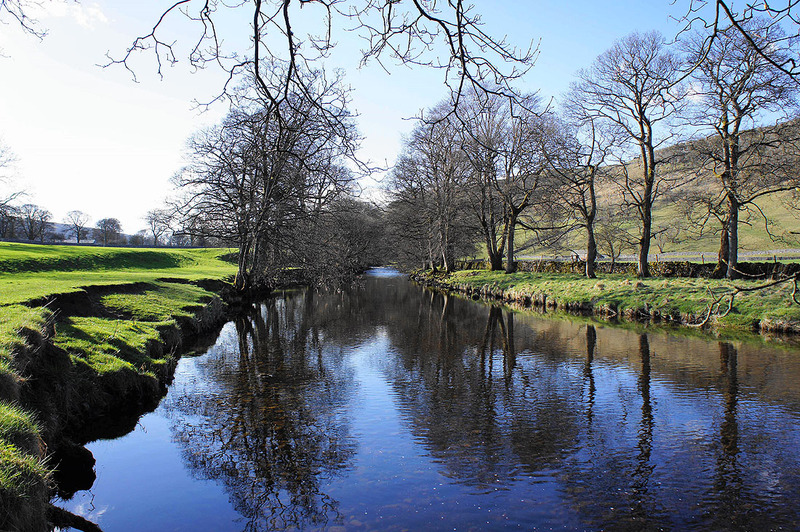 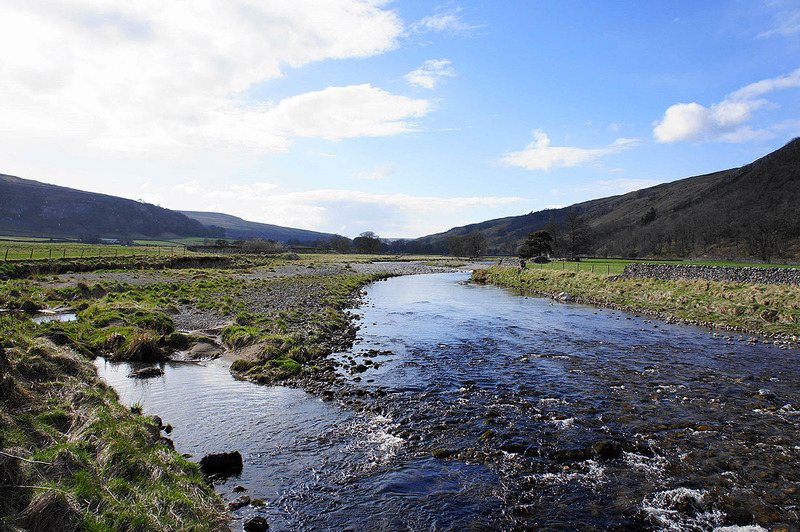 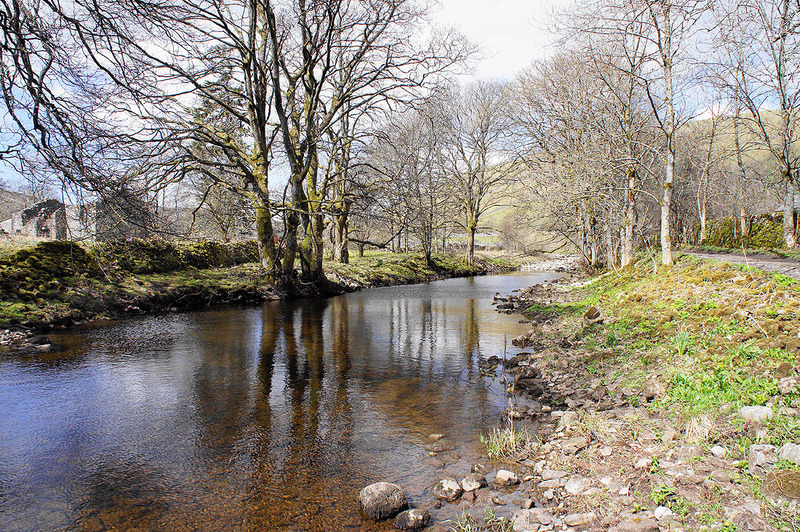 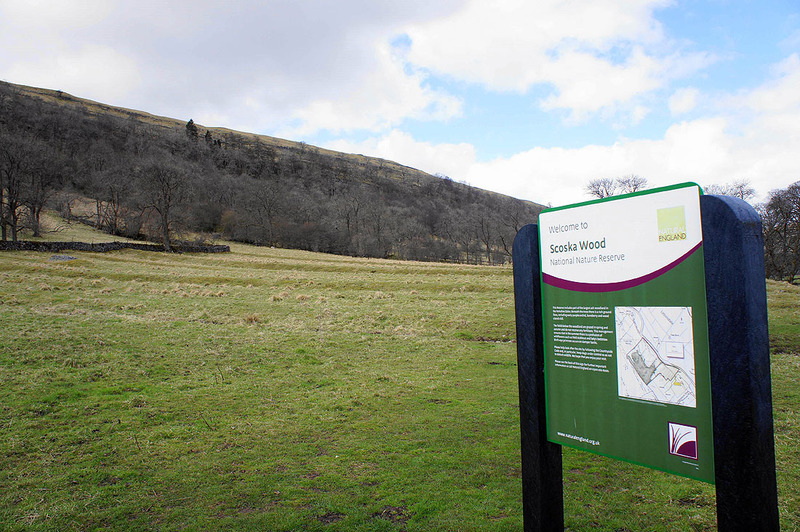 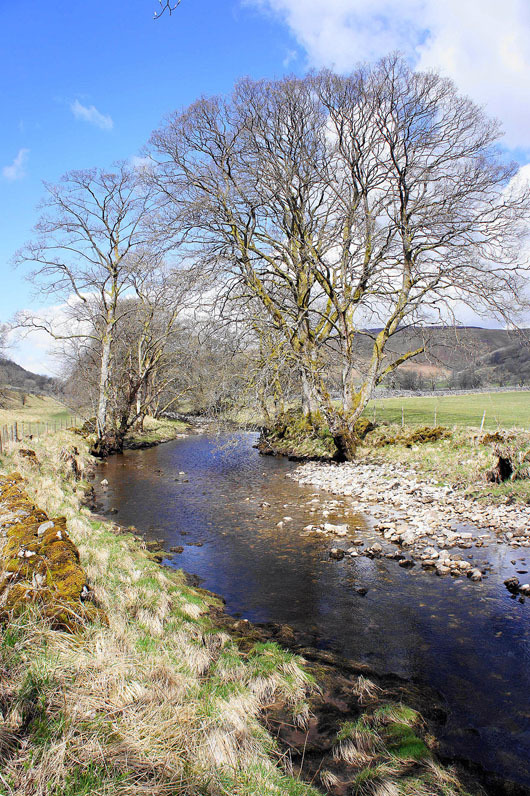 A really enjoyable walk through Littondale and on the moorland above the valley. 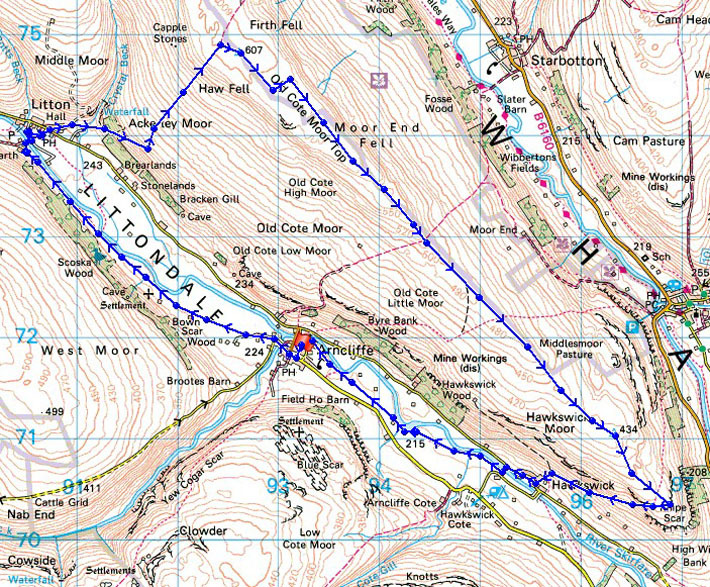 I did this walk ten days earlier two years ago and looking back there are two noticeable differences between the two days. 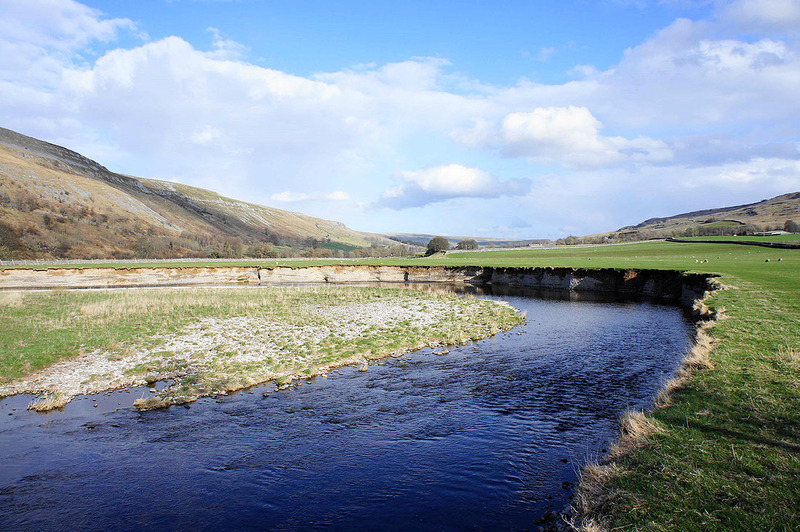 Spring was much more advanced two years ago and there was water flowing in the River Skirfare much higher up the valley this time round. 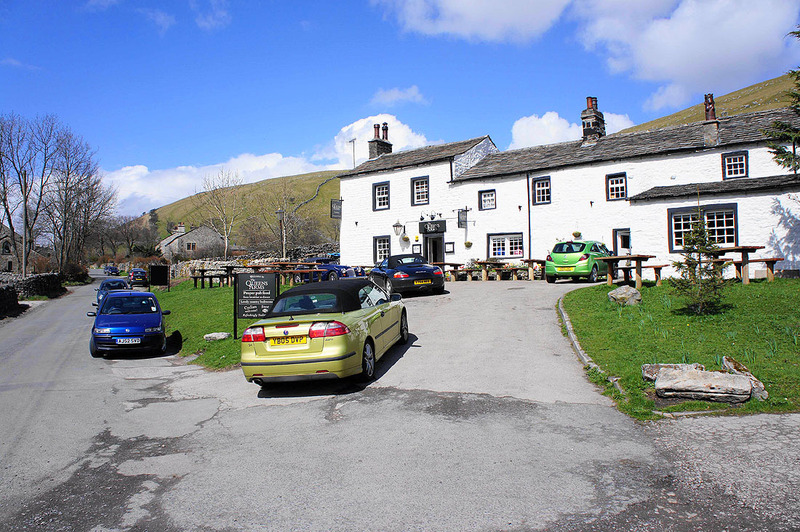 After parking in Arncliffe I walked up the valley to Litton. 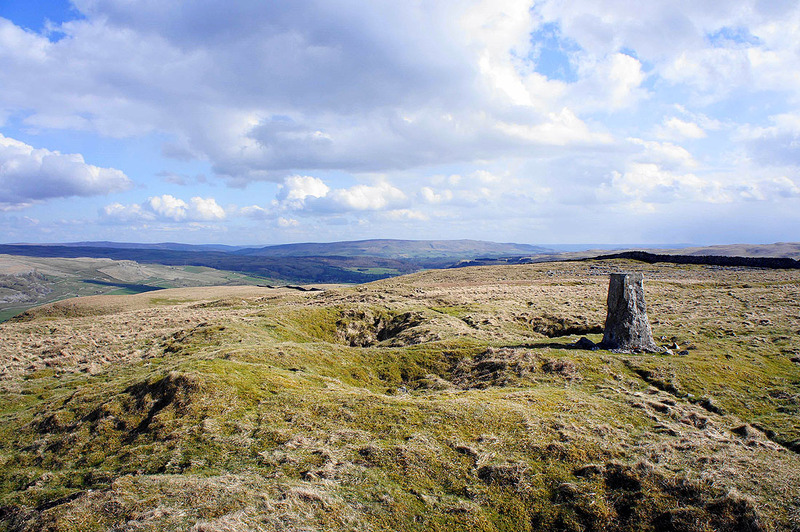 I then crossed over the River Skirfare and climbed to the summit of Old Cote Moor Top. 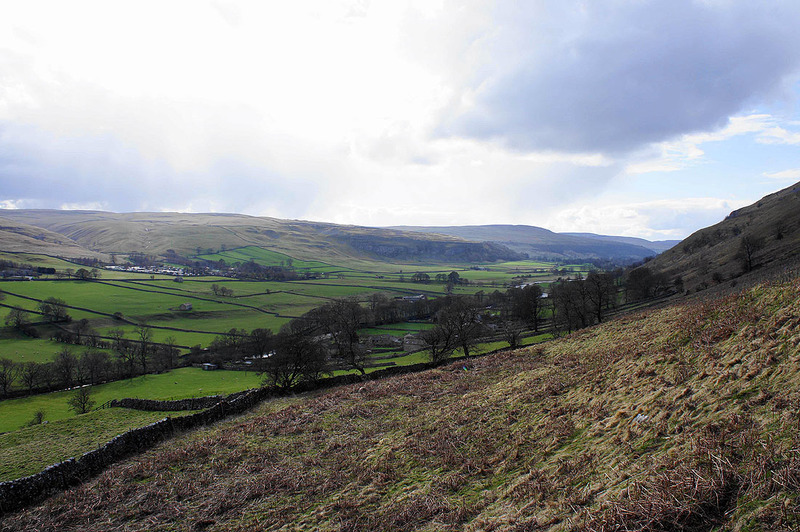 The next part of the walk was a long gradual descent down the ridge to where it ends in Knipe Scar. 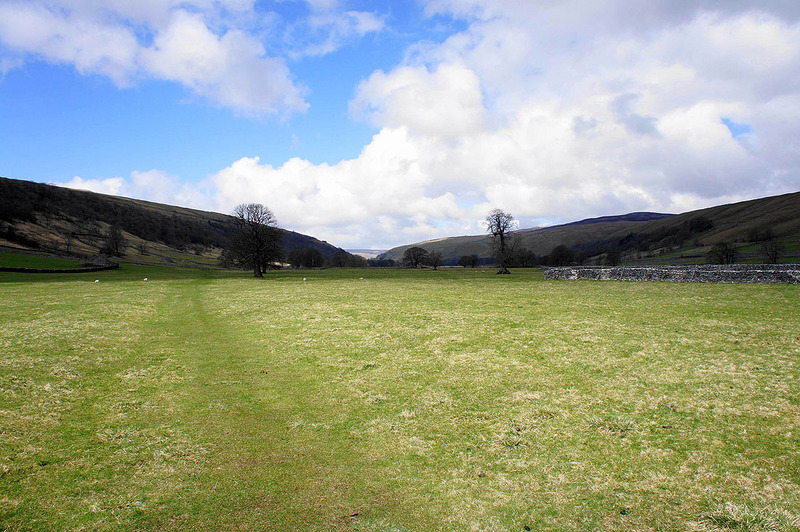 The route back was a path down to Hawkswick and back up the valley to Arncliffe. 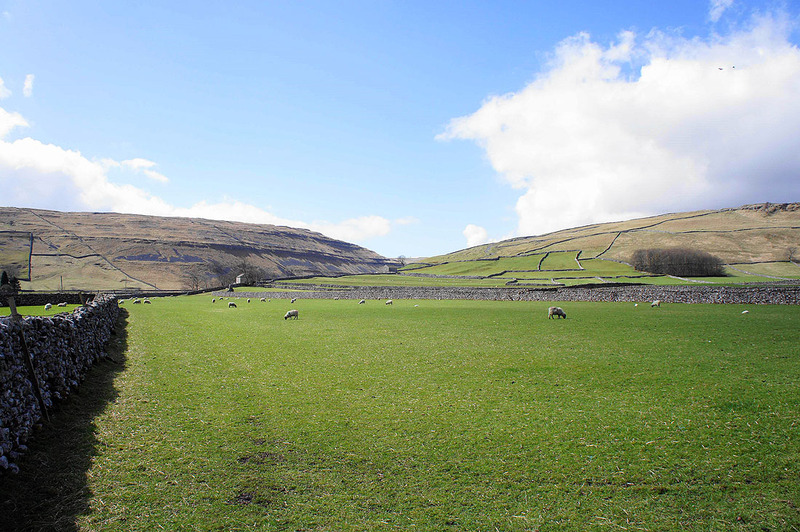 This is the first field as I leave Arncliffe. 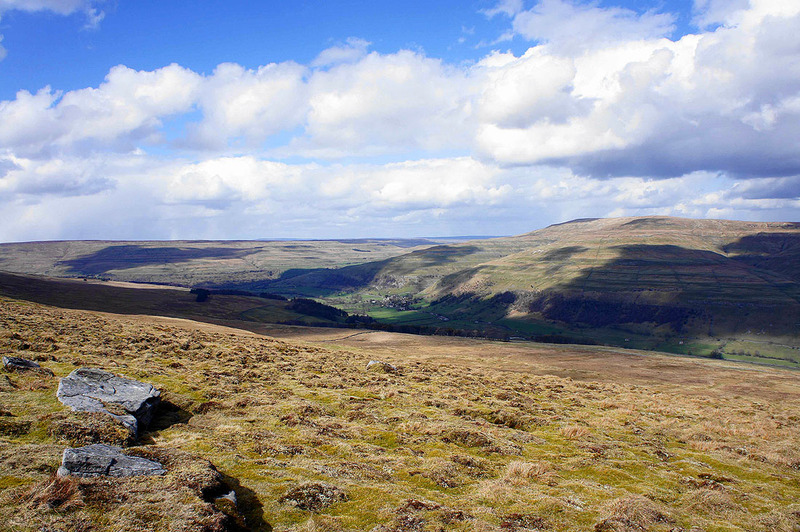 Looking across to Yew Cogar Scar above the valley of Cowside Beck. 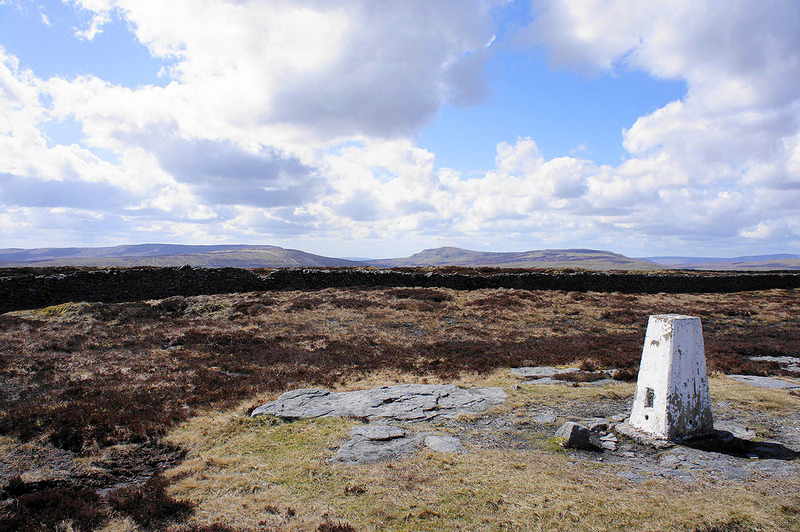 By the River Skirfare as I head for Litton..
On the summit of Old Cote Moor Top. 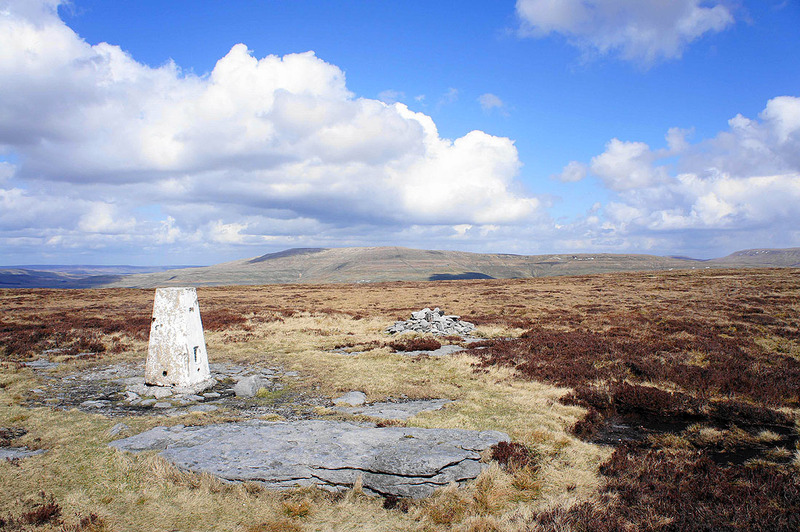 Fountains Fell, Penyghent and Plover Hill. 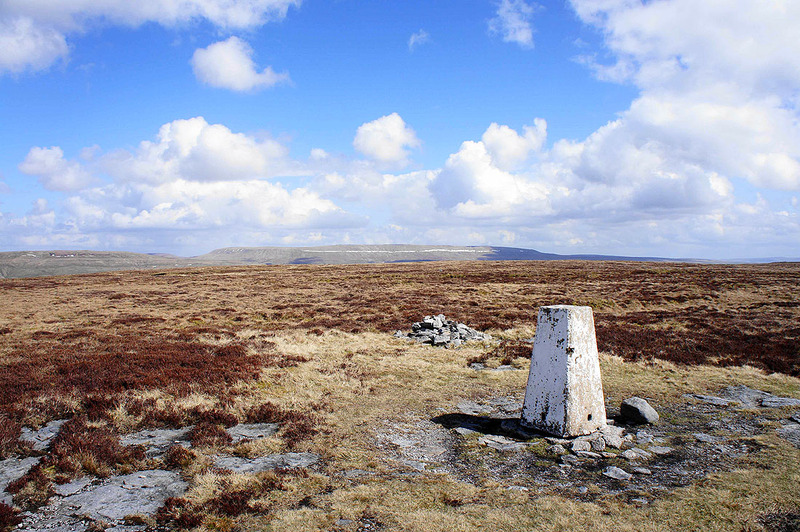 Great Whernside. 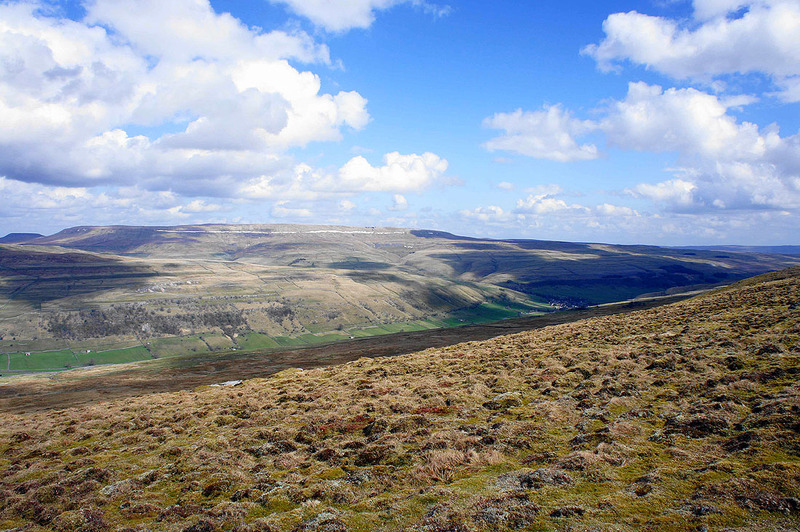 The band of snow across the flank of the hill has persisted since my visit there a couple of months ago. 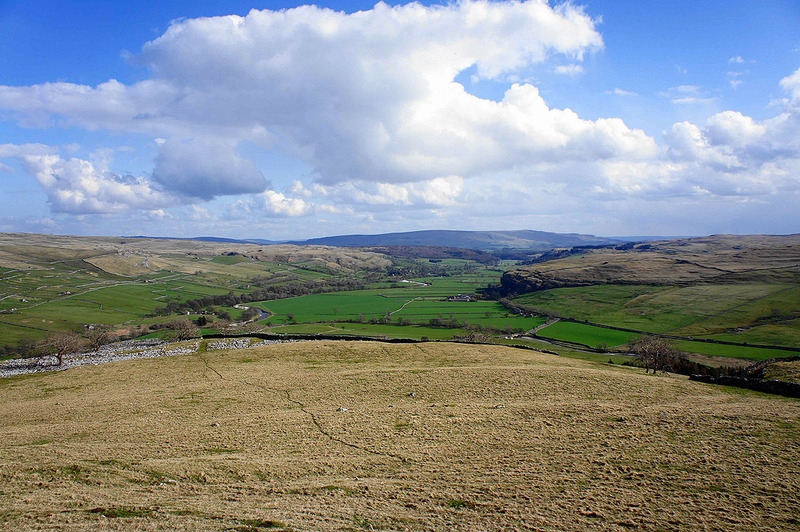 Great Whernside on the other side of Wharfedale. 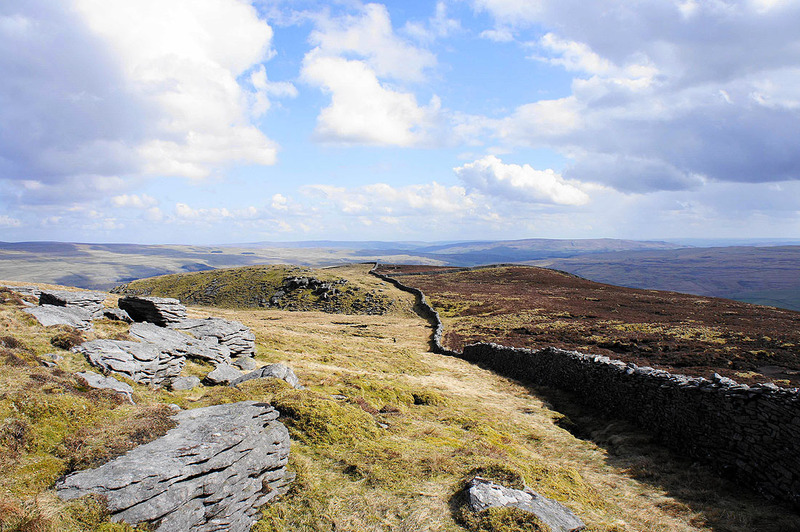 To head down the ridge I've made my way to this side of the fell, crossing a wall by a ladder stile on the way. 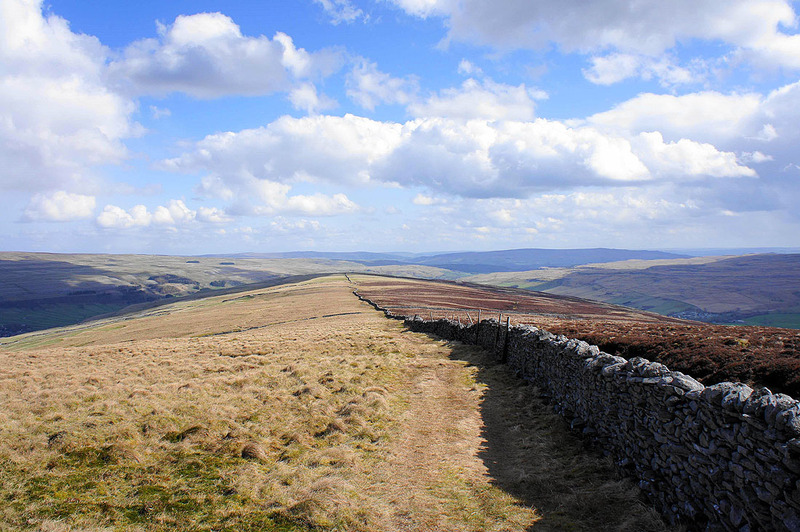 Great views ahead as I head down the ridge.. 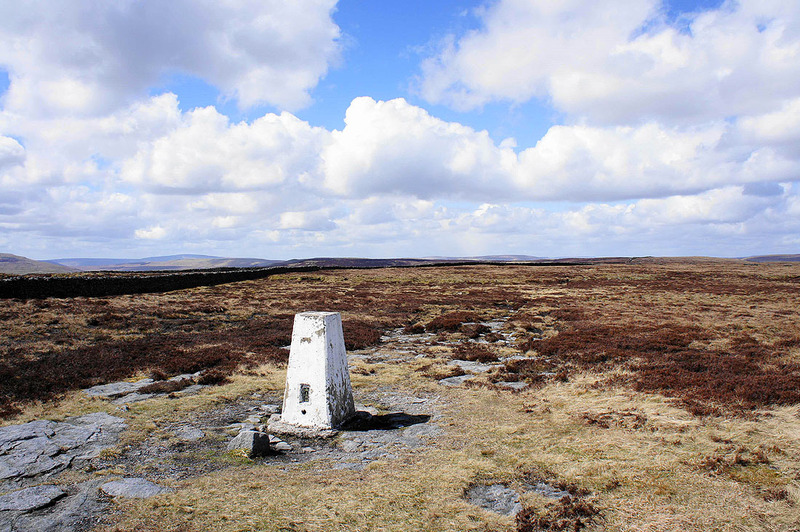 The trig point on Middlesmoor Pasture has given me an excuse to tarry a while. 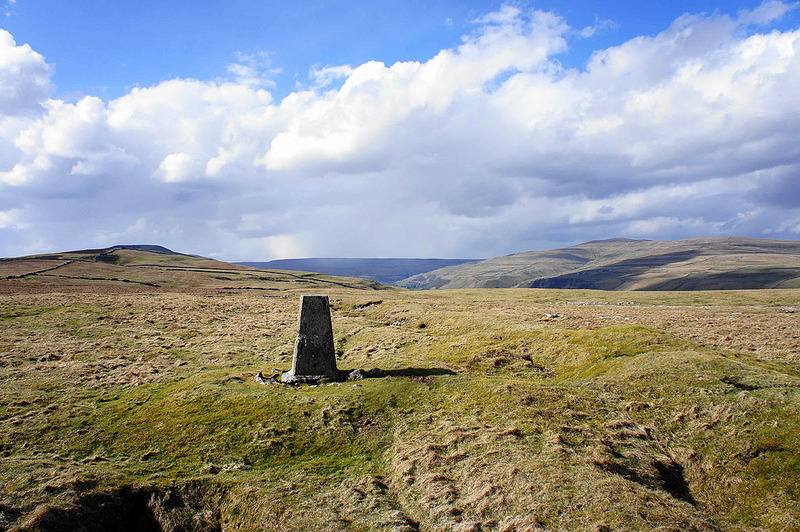 The ridge down from Old Cote Moor Top is on the left and Buckden Pike is the hill on the right. 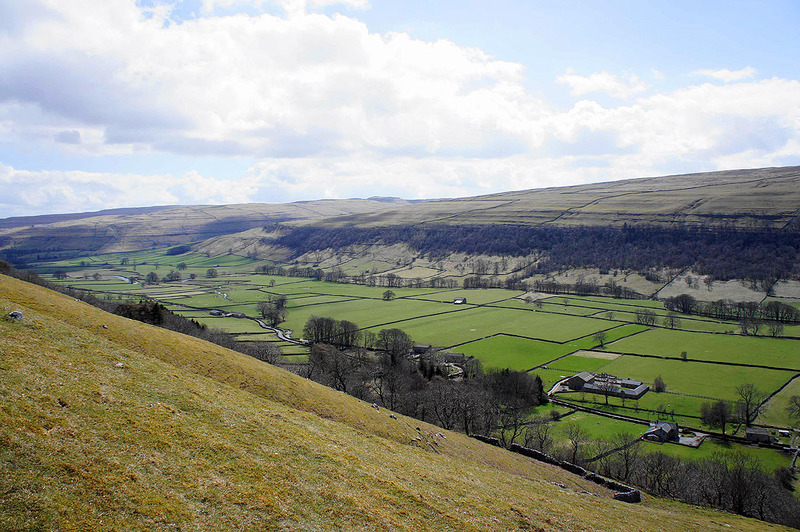 The ridge ends above Knipe Scar with Littondale joining Wharfedale from the right. 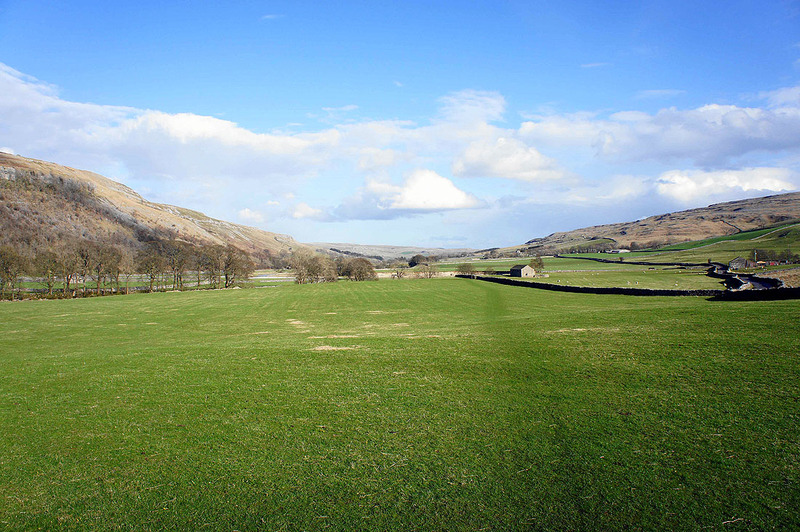 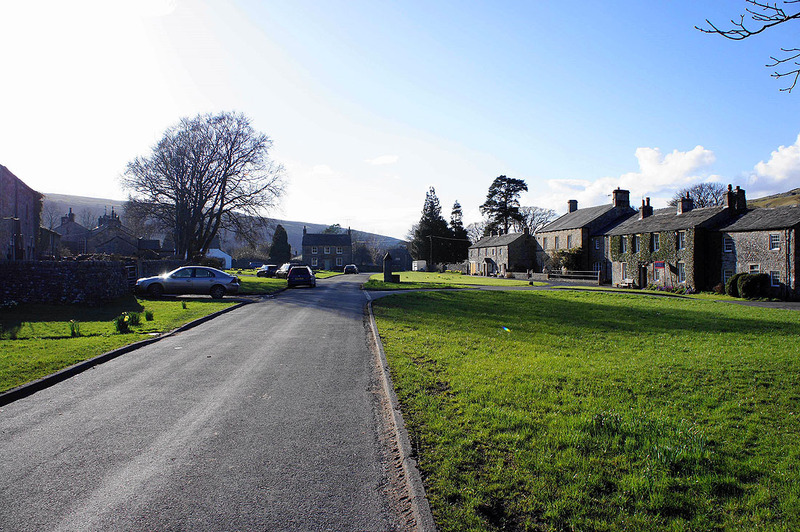 A feature of note that can be seen centre right is Kilnsey Crag. 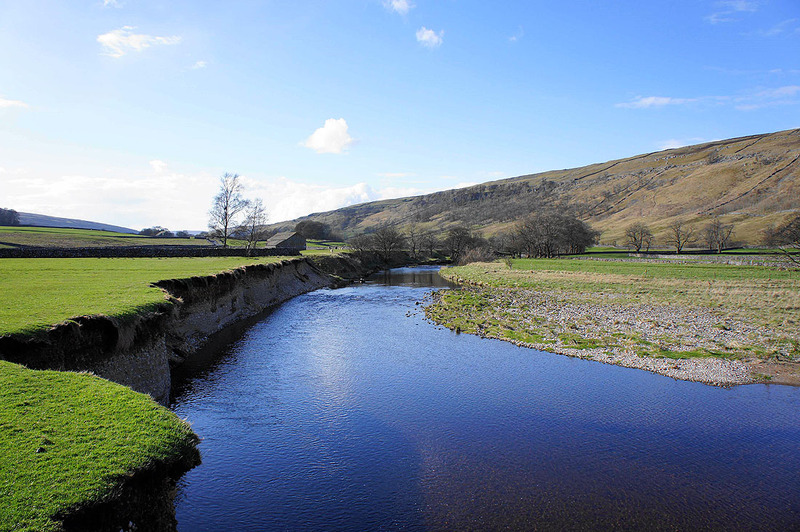 Back by the River Skirfare and heading for Arncliffe..
For the previous photo I was stood on the bank just a little way downstream. 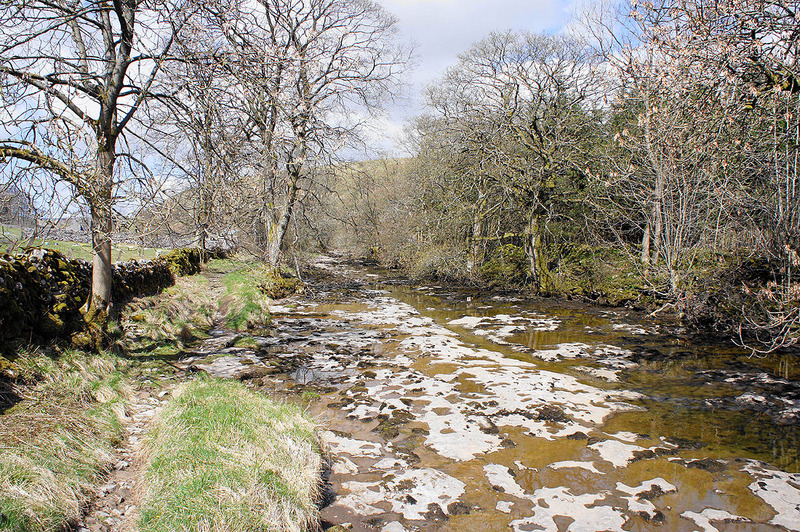 The river is undercutting the bank as it loops in a large meander. 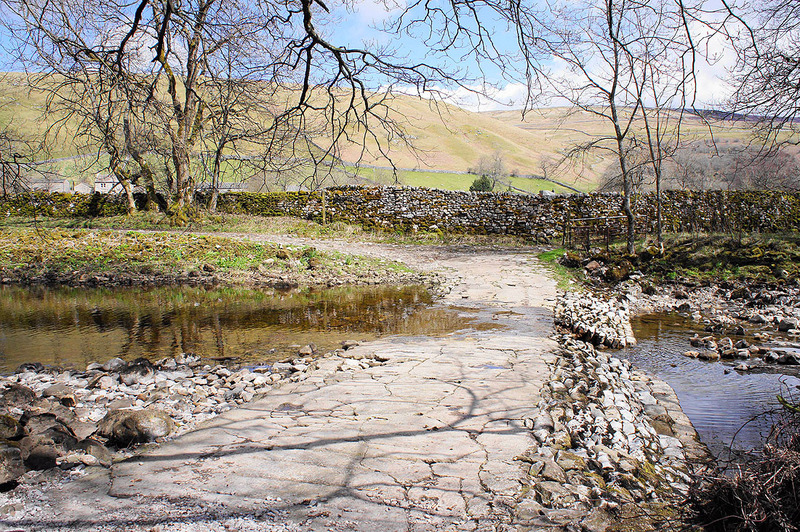 Don't get too close!